When a ravaging war takes over a country; the hardest thing to do is to protect culture from irreversible damage. 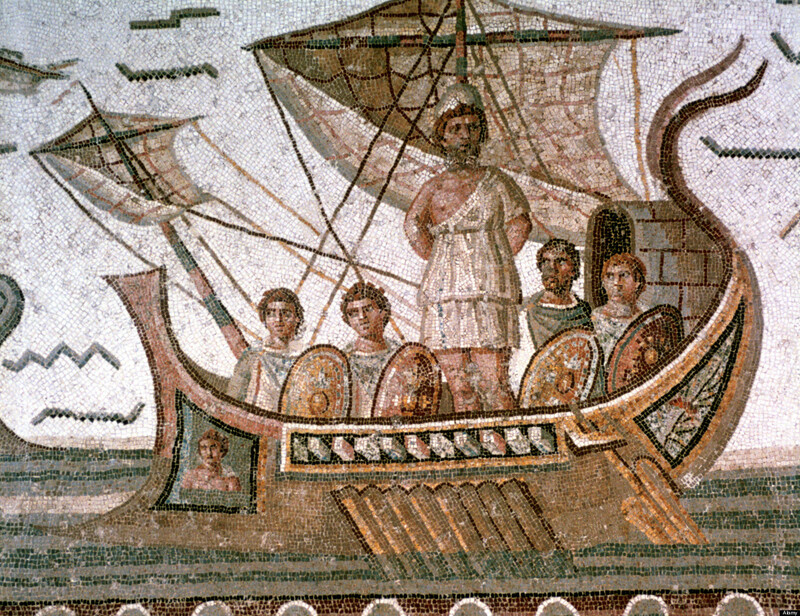 Unfortunately, 18 ancient mosaics with illustration from Homer's "The Odyssey" have been stolen in Syria recently. They were taken away during excavations that were not approved by the Ministry of Culture. The latter was also informed that the mosaics could be shipped away from Syria. Exposed and unprotected archaeological heritage sites are easy targets for looters. Even an Aramaic gold-plated bronze statue was looted from the Hama museum, a raging border in the war between loyalist troops and rebels. Safeguarding 10,000 Syrian historical sites from illegal excavations that could cause permanent damage is a very difficult task. Fortunately, and according to the same source, museums are safe and the priceless pieces have been archived and placed in secure locations. In the light of the current events that killed more than 70,000 people according the United Nations, and that keep on causing the death of more and more people every day, the UNESCO has launched an appeal for the protection of Syria's cultural heritage with the hope of safeguarding them for future generations.